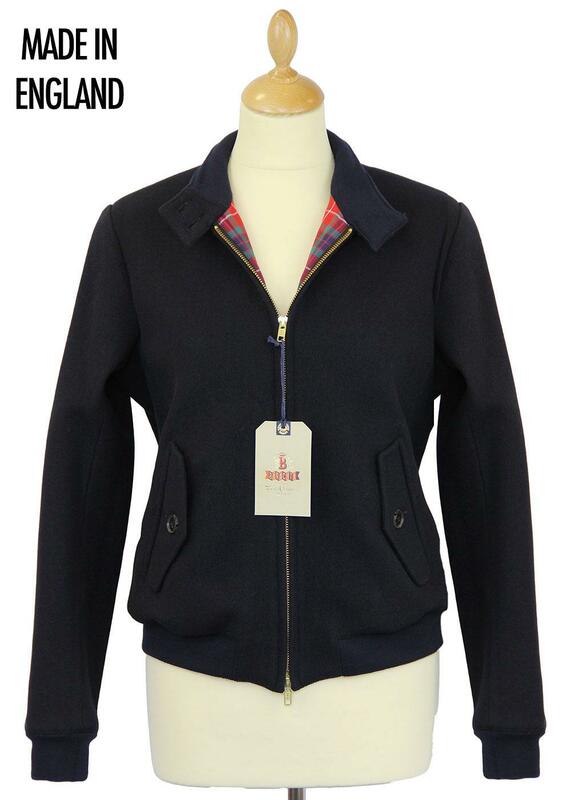 BARACUTA WOMENS MELTON G9 ORIGINAL RETRO MOD HARRINGTON JACKET (Navy). 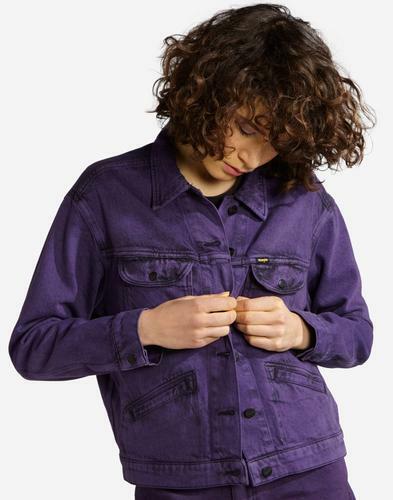 The Baracuta Womens Melton G9 Original Harrington jacket is an iconic staple of Mod Clothing with a stylish, flattering and elegant silhouette. Winter weight Vintage textured fabric, tonal elasticated trims. The genuine article, a Retro fashion classic, The Baracuta is often imitated, but never bettered. Enthralling Ivy League style and an unsurpassable Mod fashion icon - Everybody needs a Baracuta Melton G9 in their wardrobe! Baracuta Womens Melton G9 Original Retro Harrington Jacket in classic navy. Stylish and elegant wool mix melton fabric construction. Zip fasten Harrington with Baracuta branded zipper. 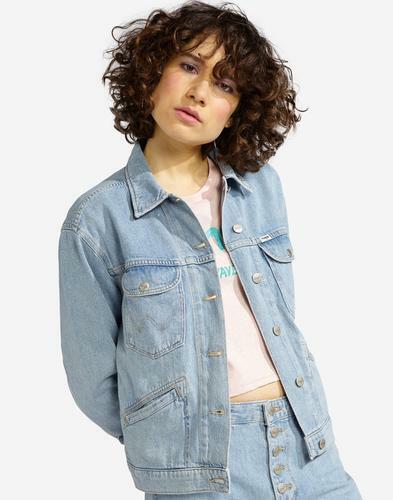 2 pockets with button down flap. Mod double button collar with Retro ribbed insert, which looks great worn up or down. Elasticated cuffs and waistband. The reverse of the jacket features the iconic Baracuta 5 Point 'umbrella' finish (as unique to only Baracuta Harringtons). The inner incorporates the iconic Baracuta Fraser Tartan lining with Coolmax fabric - designed to move moisture away from your body, keeping you cool and comfortable. 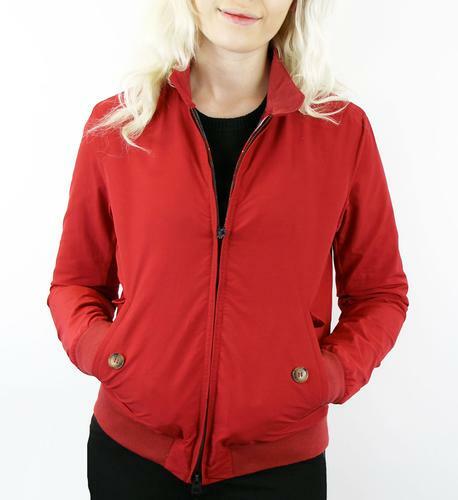 The Baracuta Womens Melton G9 Original Harrington Jacket - A cute re-working of a Mod classic. Composition: Shell 78% Wool, 20% Nylon, 2% Elastane. Lining 75% Cotton, 25% Polyester, Lining 2 100% Polyester. Care: Professional dry clean only. Please check the label for full instructions. Baracuta Women's Melton G9 Original Retro Sixties Mod Harrington Jacket (Navy). Length (top collar to hem) of a size UK8 is approximately 23.5 inches. Garment used for photos is a UK size 8.